Marc Misthal - Gottlieb, Rackman & Reisman, P.C. Marc Misthal counsels a wide range of clients from around the world, including businesses in the fashion, apparel, computer technology, restaurant, entertainment, jewelry, luxury goods, furniture, cosmetics, retail and consumer goods industries. As part of his practice, Mr. Misthal has represented clients in federal courts around the country, defending and prosecuting claims of trademark, trade dress and copyright infringement, and, when necessary, obtaining injunctive relief. He has also represented clients in Opposition and Cancellation proceedings before the U.S. Patent and Trademark Office and in proceedings under the Uniform Domain Name Dispute Resolution Policy (UDRP). Mr. Misthal’s experience also includes negotiating license agreements, working with law enforcement to combat counterfeiting, filing and prosecuting trademark applications before the U.S. Patent and Trademark Office and filing applications to register copyrights with the U.S. Copyright Office. Mr. Misthal is an adjunct professor at the Benjamin N. Cardozo School of Law. 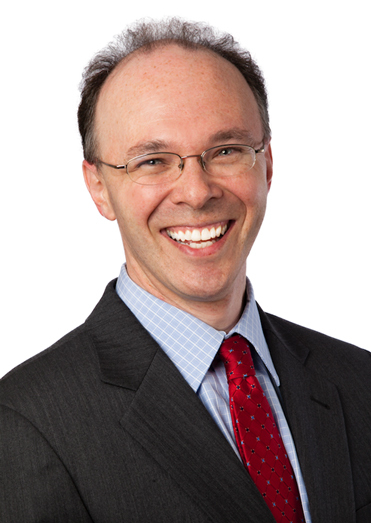 He authored a chapter on trademarks and trade dress which appears on the Second Edition of Fashion Law: A Guide for Designers, Fashion Executives, and Attorneys, contributed to a chapter in the International Anti-Counterfeiting Coalition’s treatise on trademark anti-counterfeiting, and his articles have appeared in the New York Law Journal and Law360. Mr. Misthal has been quoted on intellectual property issues by The New York Times, Metropolis, Inc., CNBC and others. Mr. Misthal is a frequent speaker who has given presentations about domain name disputes, the Digital Millennium Copyright Act and intellectual property issues in social media. Mr. Misthal was also invited to participate in a panel discussion about anti-counterfeiting at a conference on the enforcement of intellectual property rights in the digital age held by the Manhattan District Attorney’s Office. Marc P. Misthal was quoted in the article "Why (and How) to Trademark Your Business Name: My Personal Story + Useful Tips from Lawyers." Marc Misthal Was Quoted in the Article "‘Stranger Things’ Lawsuit: Is It Possible to “Steal” an Idea?" Use at Your Own Risk: Is Online Content Free to Use? Can You Use Your Name as a Brand Name?